OVALE group is the world leader for the production, distribution and sale of electronic cigarettes and its accessories. In the last 12 years OVALE has created a growing international network in Europe, America and Asia. The close partnership of its founders has successfully produced a product line remarkable for their technology, reliability and safety. We are striving to create products able to perfectly simulate the pleasure of smoking, without negative collateral effects usually associated with traditional tobacco products. 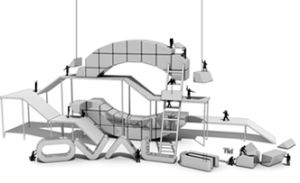 OVALE aims to establish a worldwide distribution chain, committed to serve our clients with integrity and competence. ✔ OVALE invests both in Research & Development to bring durability and innovation to the world of electronic cigarettes. ✔ Constant attention to safety. We use the best materials and technological expertise. We conduct extensive laboratory research and perform specific tests to ensure products of the highest standard of safety. 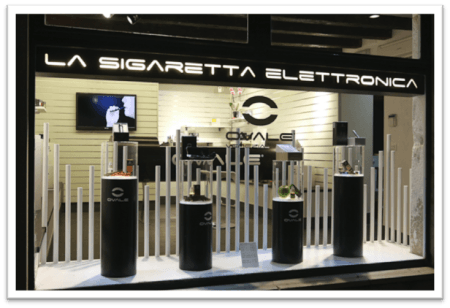 ✔ The exclusive Italian design makes the OVALE electronic cigarettes unique. ✔ We want our clients to be the beneficiaries of our value for money products. Our products have become so widely popular by word of mouth, thanks to the positive response from our satisfied customers. Through its 500 shops, the OVALE Group is now represented worldwide. Our retailing structure doesn’t include any middle men, therefore our franchisees are in direct contact with our customers. This allows us to be aware of our customers’ needs, and to anticipate new market trends. In our OVALE shops clients are welcome and advised to choose the best product based on their personal requirements. Our products can be tried free of charge in any of our shops!